9209 - This Couple is wrapped in a romantic embrace of dance. 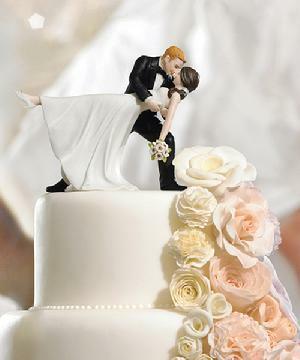 The Bride's pretty pony tail, simple dress and rhinestone shoes give this Cake Topper a lovely modernized twist on a classic pose. Hand painted porcelain. 10.5cm x 10.5cm.